You know when you read a story, that you have read many many times before and find something new every time you read it? That is the bible for me. Elizabeth and Zechariah the bible says was righteous and blameless. #1. They were both righteous in the eyes of God. Both of them… not just Zechariah, who was a Priest, but his wife Elizabeth as well. The bible tells us that we need to marry a person of equal yoke. Zechariah chose well. He chose a wife that would have already had great principles and characteristic traits of righteousness. View this post that I wrote on choosing a mate. If you are lonely, don’t rush. Instead, do these things. #2. They were observing all the laws commands and decrees. Some might say this makes sense for Zechariah, after all he was a priest. But not all priests are alike as you can attest to I am sure. 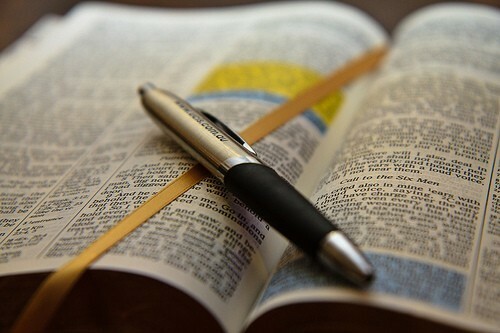 the words of the Bible within our heart which means that we need to be studying our bible every day. This does not mean that you need to read the bible for hours daily, but if even 10 minutes a day, start the practice. It will not only become a habit but you will find not only your 10 minutes increasing, but your delight in the Lord as well. #3. They were both blameless in the following of the law. To be clear, it does not say that they were blameless in all things. For example, verses after that declaration, the angel Gabriel told Zechariah that he would lose his speech for a period of time because of his unbelief that Elizabeth would have a child. This tells me not only that it is possible to obey the commands and decrees in the bible but I can obey them all. Immediately my mind is filled with that is a tall order to fill in this day and age but is that not what the Devil wants us to believe? I wonder what would happen if many of us started to live out the commands of the Lord, praying to HIM for HIS guidance and strength… I wonder how that would change the world? Food for thought: Let us start changing the world. Let us obey God’s word, one command at a time. What a profound statement! They were both righteous in the sight of God. Wow! I want the Lord to say that of me.